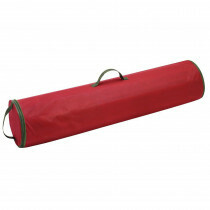 Christmas Gift Wrap Organizer helps to keep your gift wrap safe and dust free for another year. Handle for easy and convenient portability. For Storage, Organization and protection of Christmas accessories.